Hello there and a happy Tuesday to ya! 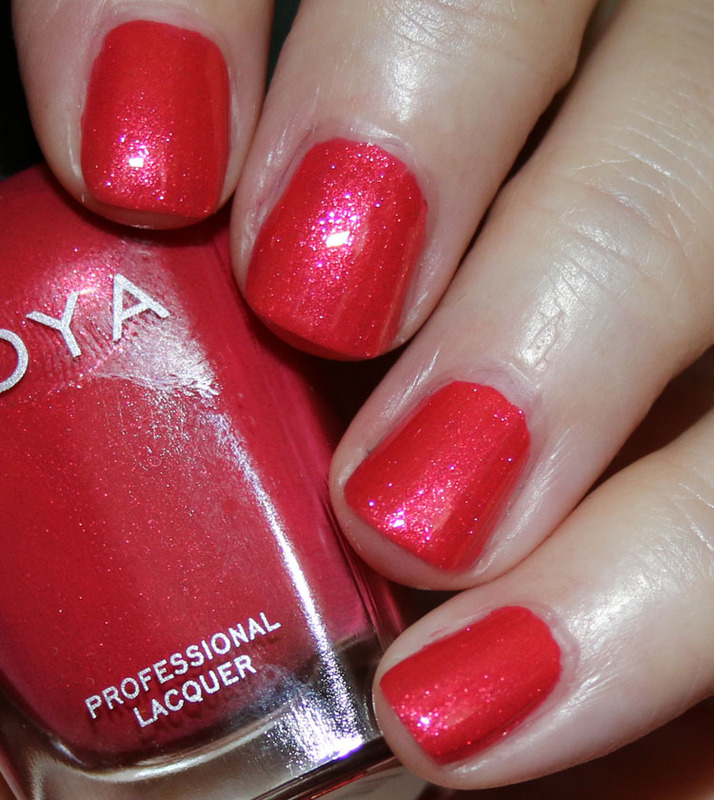 Today I have the Zoya Winter/Holiday 2017 Party Girls Collection. This collection includes twelve new colors that consist of a few cremes, some beautiful shimmers and sparkly metallic shades. While there are some classic holiday reds in here, it isn’t all red, green, gold and silver, which is nice. 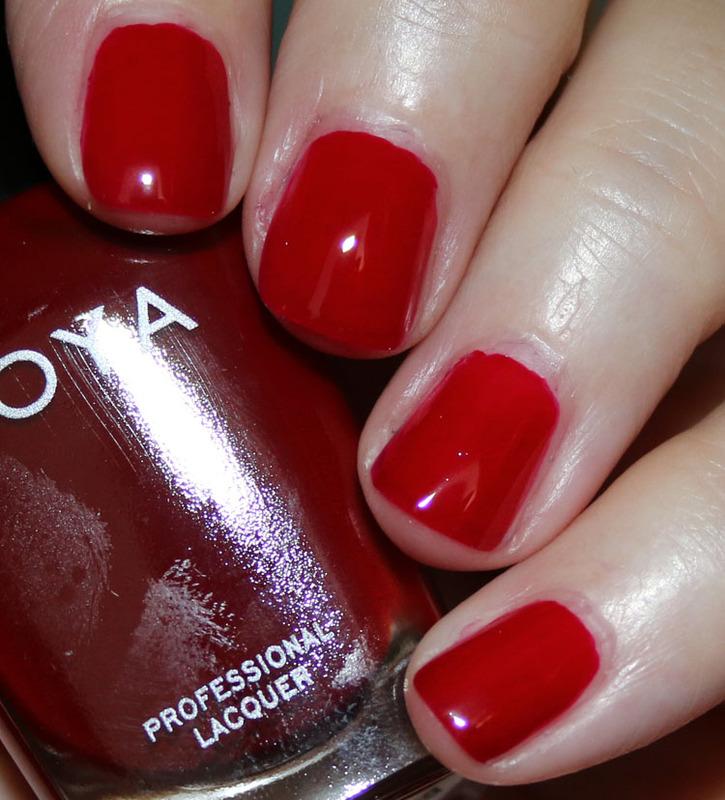 Some of the shades are fairly non-holiday-ish, and they are my faves! As far as coverage everything here was two coats with the exception of Nadia, which was three. Kelsey is a bright cerise pink creme. Danielle is a dark periwinkle creme. Landon is a deep aubergine creme. Ming is a scarlet red creme. Sheri is a garnet red creme. Solstice is a metallic persimmon orange with sparkles. Nadia is a ginger gold metallic with glitter. This is a topper with one-two coats or full coverage with three. Tawny is a metallic deep rose/copper. Delancy is a metallic purple with a very slight duochrome shift to blue/green. 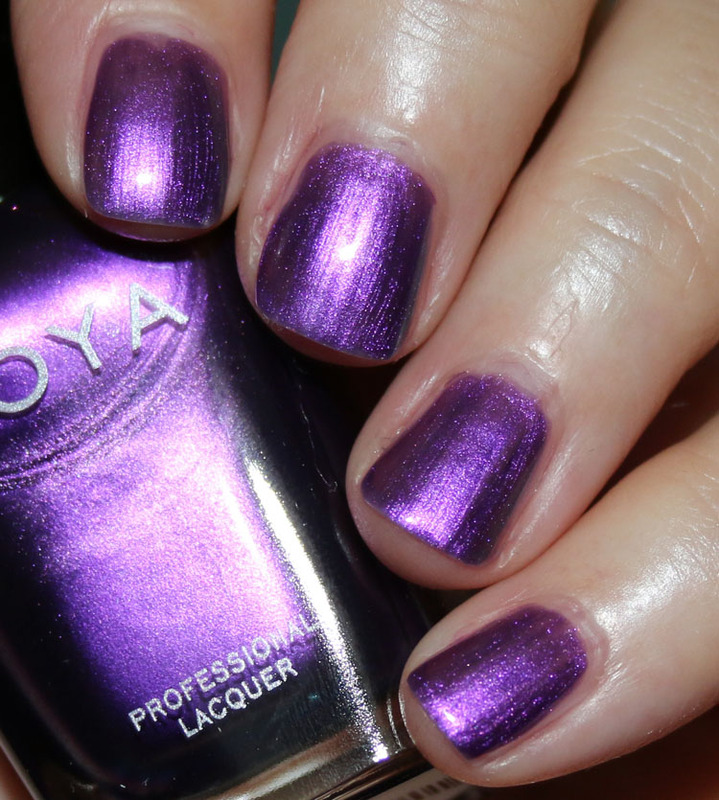 Isadora is a deep purple with magenta/blue shimmer. 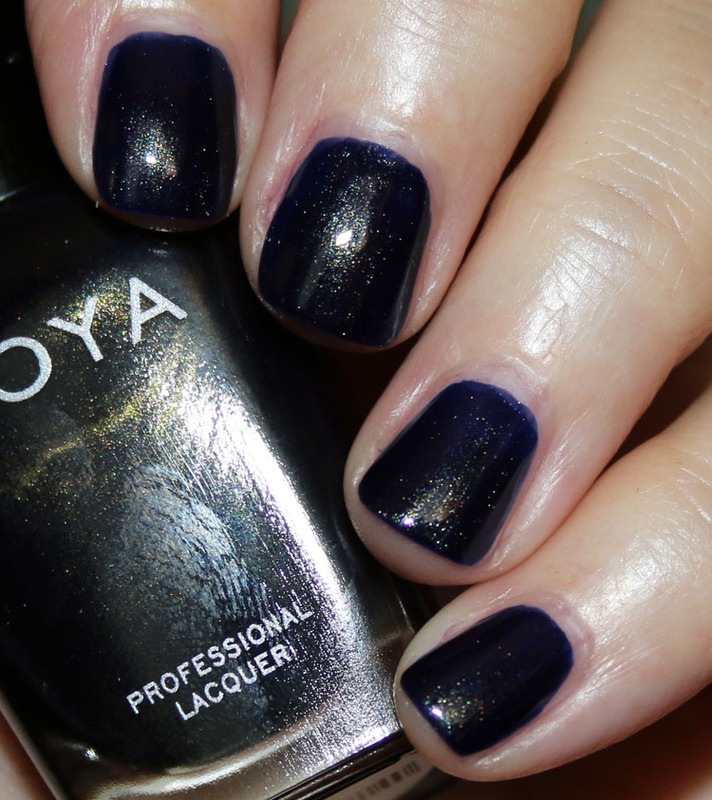 Blake is a very dark inky blue with golden shimmer. Overall I feel the collection is pretty nice, though there maybe are some shades that aren’t all that unique (mainly the creme shades.) I believe the most unique shades are the metallic and/or shimmery ones. My personal favorites are Blake (you must see it in person to really get the effect), Isadora, Solstice and Danielle. I feel a bit disappointed with Delaney because the duochrome look it has in the bottle doesn’t translate that well on my nails. 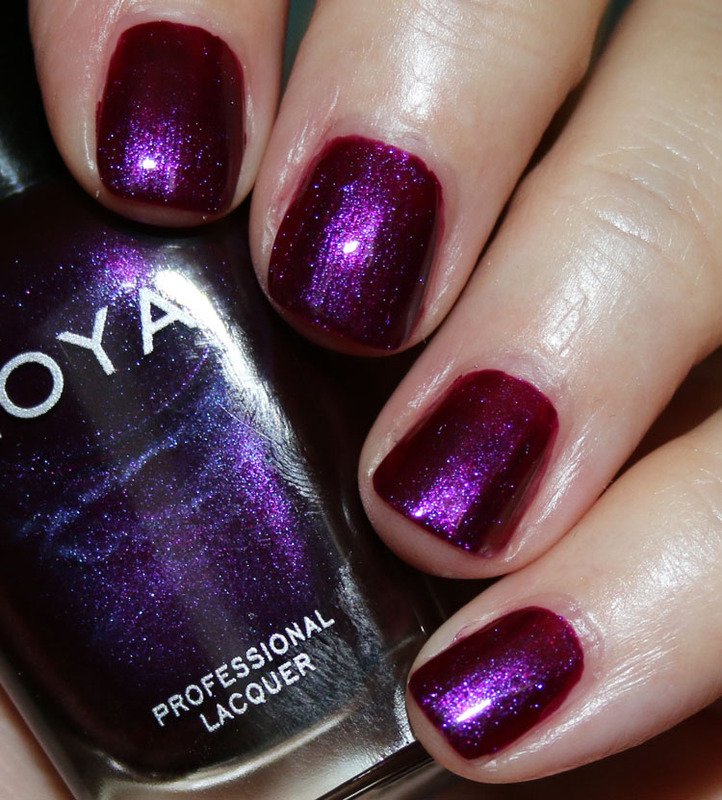 The Zoya Winter/Holiday 2017 Party Girls Collection is available now on their site! 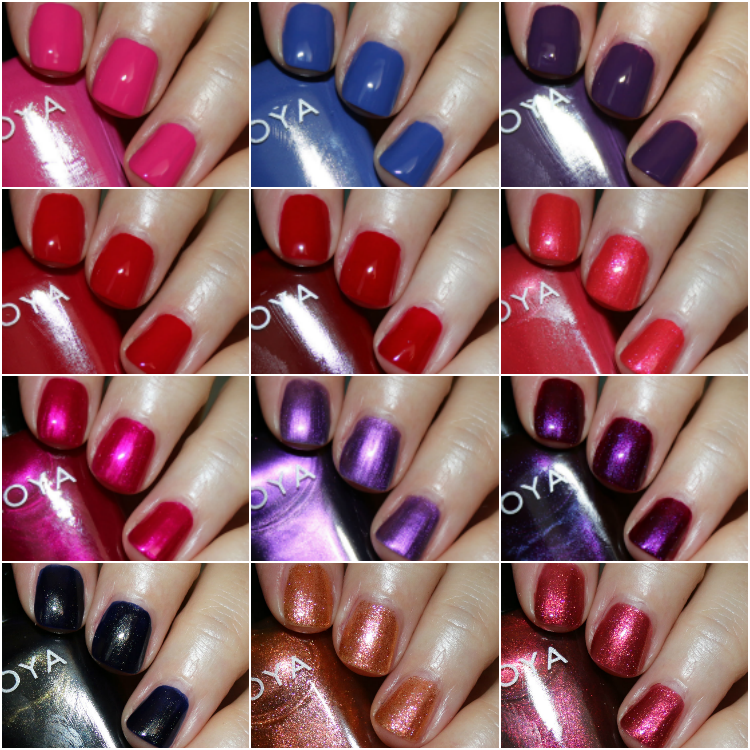 Now that you’ve seen my swatches, which of these are your favorites? Gorgeous swatches as always! 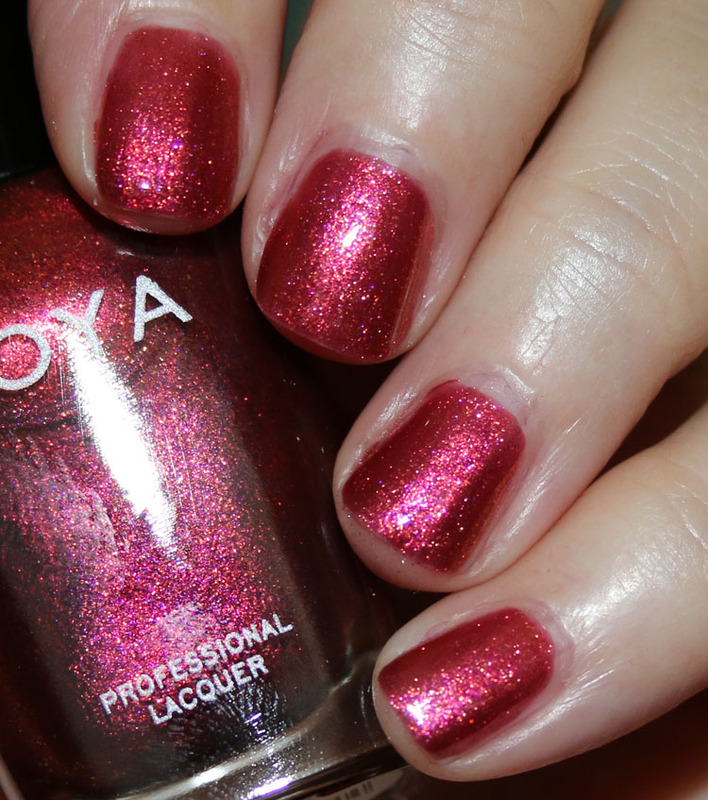 I have so many Zoya purples but Isadora is definitely calling my name, as are Tawny and Blake. Solstice reminds me of OPI Danke Shiny Red, do you think they’re similar? Thanks for your hard work. Hi: Really great and beautiful swatches. 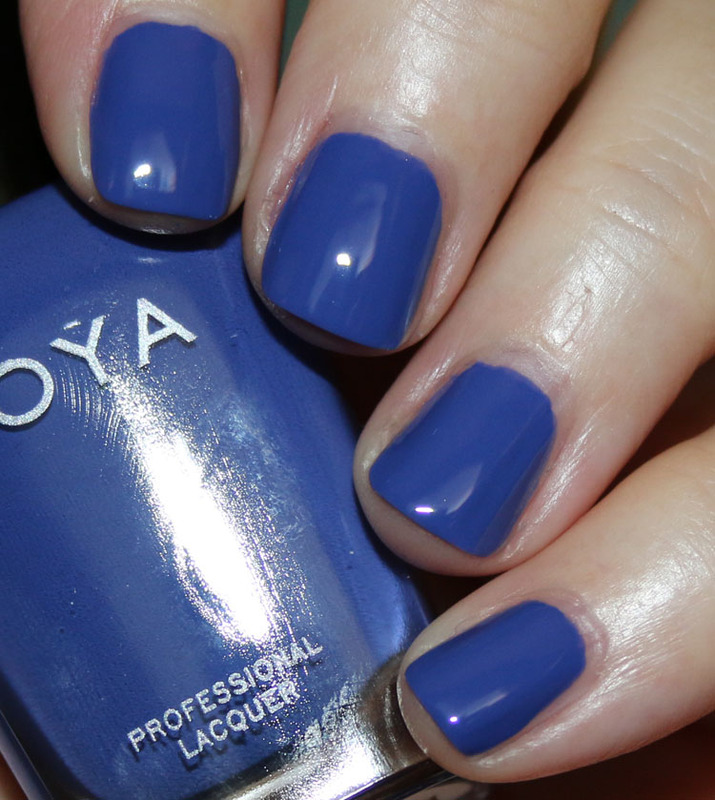 My favorite is “Landon” and “Isadora” also “Blake” love that inky blue and gorgeous purple of Landon and Isadora. 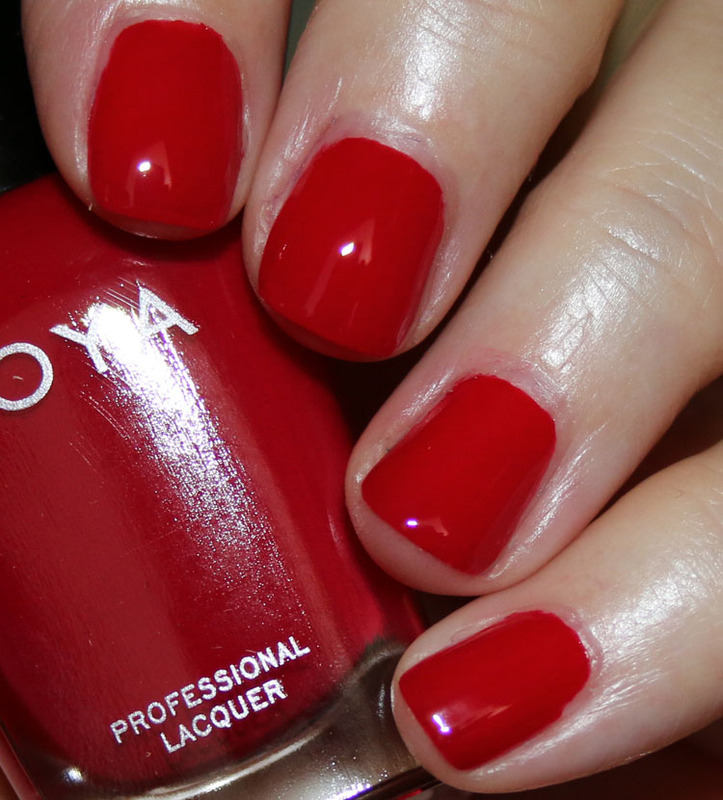 I really love your web blog and how you describe all the polishes. great job! Oooh, thanks for posting these. I want Isadora, and possibly Solstice and Tawny. 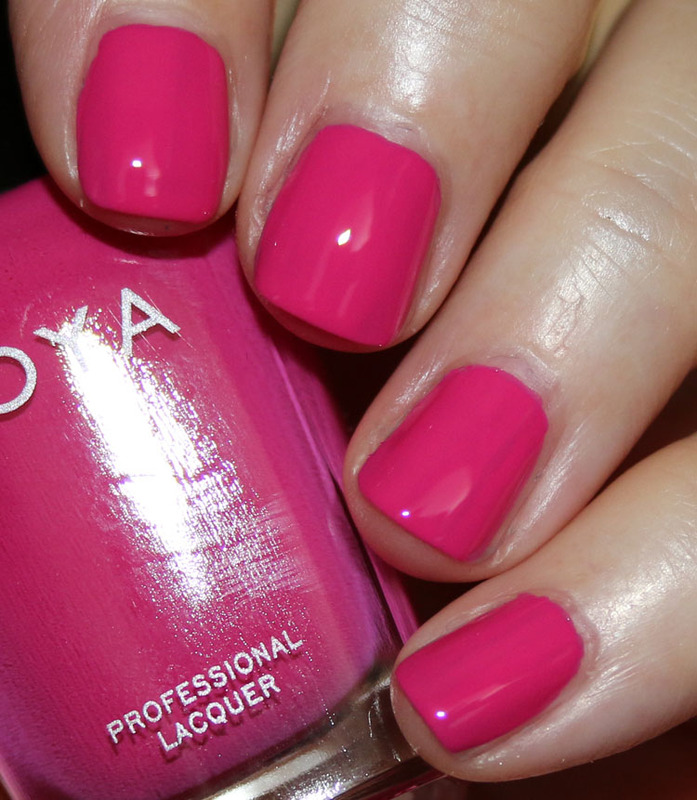 I feel like Isadora is close to another Zoya color I have but I still want it. As for Blake, I think it would just look black in my crappy office lighting. Also, Kelsey is a basic fuschia crème but I’m not sure if I have one like that. I really like all of the shimmers and metallics especially Isadora, Delaney & Solstice. I’ll definitely check out Blake in person too since you highly recommend it! Blake, Blake, Blake, Blake! That’s all I have to say about that!